WeBuilder it is just wonderful and fits my needs perfectly. 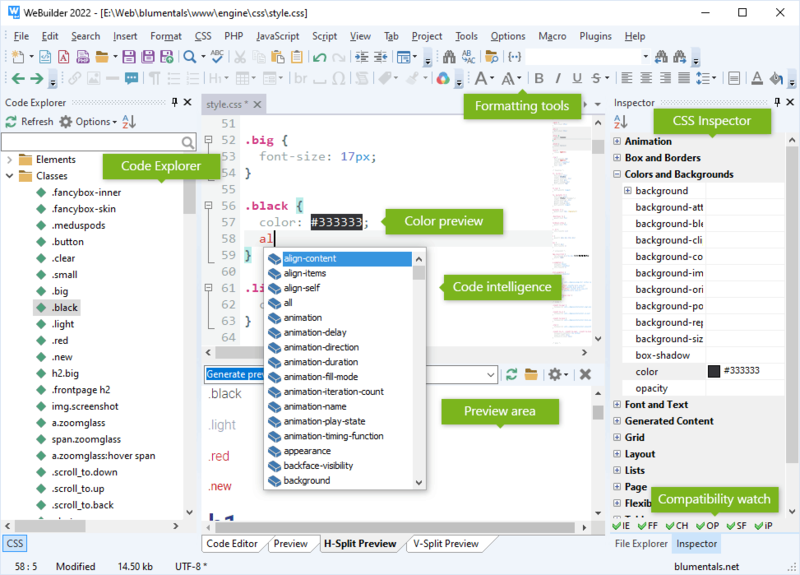 WeBuilder combines speed of a simple code editor and power of a full-size IDE allowing you to work much faster. 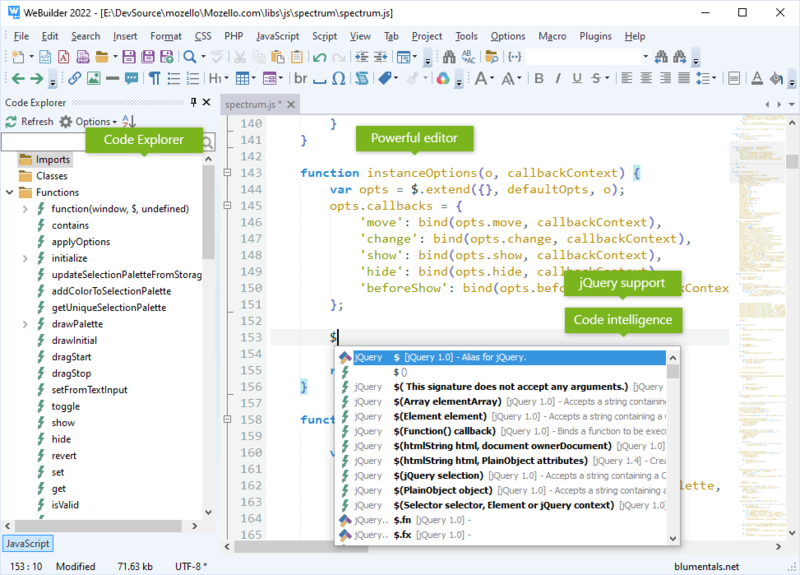 Interface and behavior is consistent with other code editors. All essential features are right where they should be. 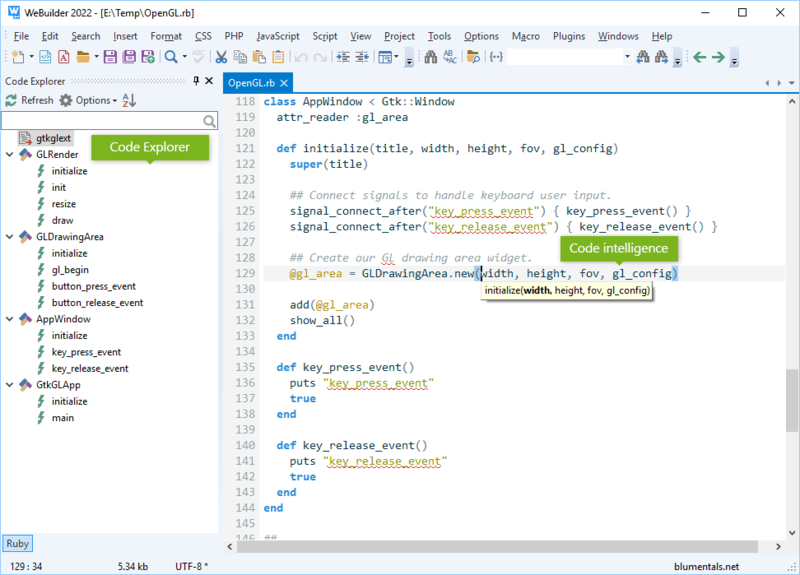 You can adjust text editor, menus, toolbars, shortcut keys and everything else to fit your needs perfectly. 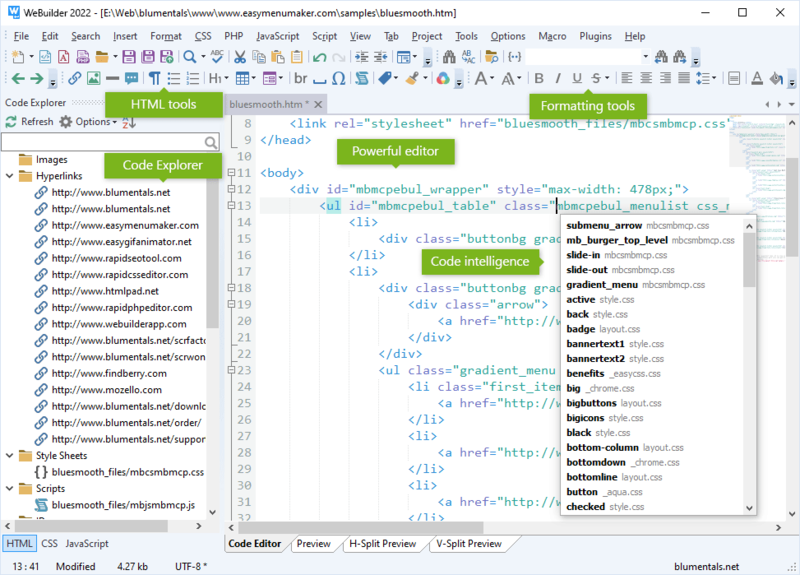 WeBuilder is quick, clean and lightweight. It very powerful, yet not stuffed with useless buttons or panels. WeBuilder features are carefully crafted with speed and productivity in mind. Upload/update your online website files in a just few clicks. 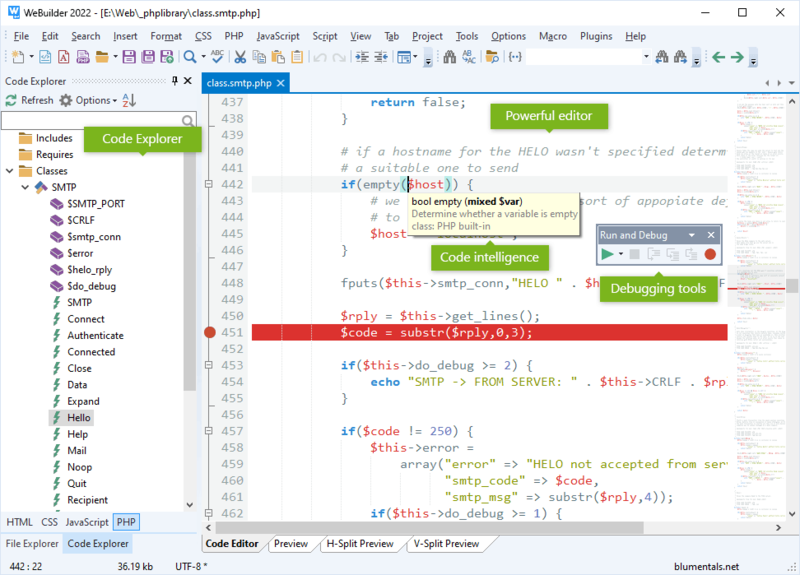 Syntax checkers, validators, debuggers, beautifiers, HTML Tidy, CSS prefixizer etc. WeBuilder is very easy to learn and use. 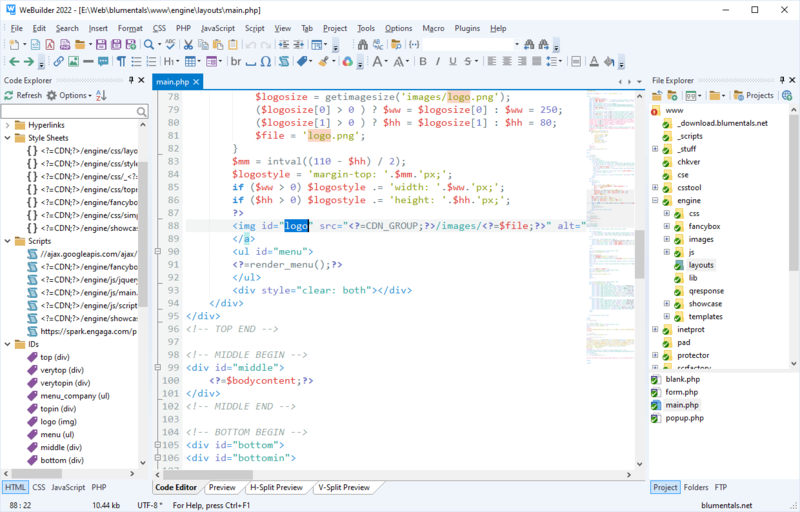 It works like a simple text editor, but offers a lot of helpful features such as HTML and CSS wizards and instant code-snippets. WeBuilder actually helps you learn web coding and make less mistakes.